Shagreen is the skin of a ray or shark with characteristic calcified papillae, called placoid scales, resulting in a rough surface. The placoid scales are commonly ground down to leave the surface with an overall pattern of rounded bumps. Shagreen was first used in Europe by Jean-Claude Galluchat, a leatherworker to King Louis XV of France. The material proved so popular that it had found its way throughout Europe by the mid-18th century. Early uses for the material included covering the hilts of Japanese swords and bow grips in China. Imported boxes and eyeglass cases from China, c. 19th century were often covered in the material. 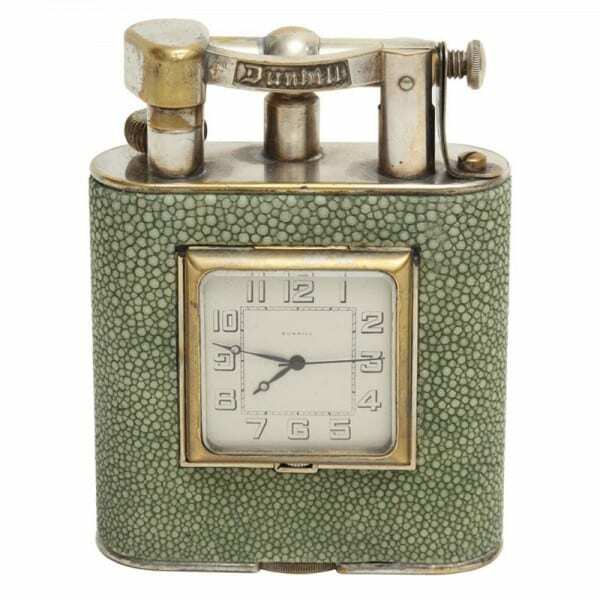 Eventually, shagreen was used in jewelry and accessory design. John Paul Cooper, an Arts & Crafts jewelry designer, used the material in his work. Sometimes the term is used for other forms of leather that have a similar texture and pattern. 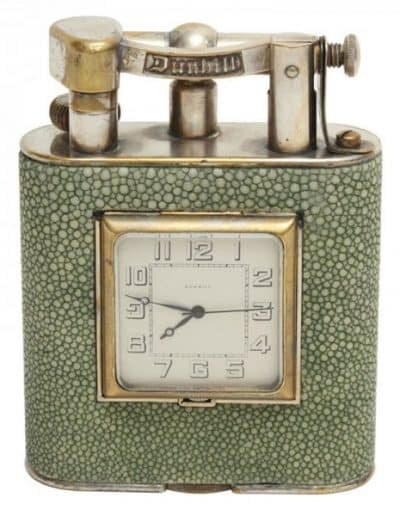 Dunhill Shagreen Table Lighter/Clock Combination.